Scouting in the Western New York area has a rich history dating as far back as the Boy Scouts of America® (BSA) has been around. 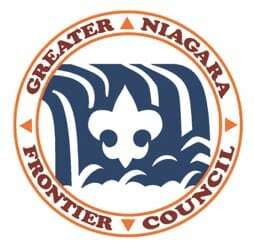 Each year, The Greater Niagara Frontier Council (GNFC) puts together its Fire & Ice Extravaganza to show the community the many benefits of scouting. The event highlights the many ways in which scouting touches the lives of the Western New York Community. All proceeds of this event will go directly to the Western New York Scouting programs. “We are very excited to host this year’s Fire and Ice at the beautiful, newly restored Shea’s Seneca with a theatre premiere theme ,” said Mattar. Attendees will come together for an evening of music, themed food stations, cocktails, and auctions. The event is set in a unique and exciting social atmosphere. “We owe the yearly success of this exciting event to all the volunteers, sponsors, and supporters of Scouting. Today’s scouts are tomorrow’s leaders. The support we receive for fundraising events such as Fire and Ice helps maintain Scouting programs for area youth and nurture the future of our communities.”, said Mattar. Fire & Ice attracts many of the bigger names in local business, sports, and entertainment. As an Eagle Scout, Mr. Mattar feels that being the regular chairman of the event is part of his scouting duty. He and his team of volunteers work hard to bring in entertainment and culinary presenters who make each event special. To help everyone enjoy the evening safely, complimentary service from Designated Drivers of Buffalo will be available, courtesy of William Mattar. The mission of the BSA is to prepare young people to make ethical and moral choices over their lifetimes. Scouting is a way for the future leaders of the United States to become introduced to the challenges of adulthood at young ages. The Boy Scouts open their organization to any child who wants to become accepted as part of a group. For example, special needs children are encourages to join and participate in Scouts. The Boy Scouts believe that when we learn to accept each other openly then we are creating a better society overall. The Boys Scouts of America is considered one of the largest values-based developmental organizations in the world. Even so, the BSA manages to be one of the more inclusive youth groups in the country. Scouting is famous for its merit badges and camping retreats. However, the Scouts attend many more events throughout the yea, which also require funding. Boy Scouts are involved in a wide variety of community events though out the year. For example, Scout troops assist with charitable events in the community and in the neighborhoods. They offer assistance to people who cannot shovel their own driveways or mow their own lawns. The only experience many people have with the Scouts in their community is the through fundraising drives they hold. An example of this would be the annual popcorn sale to help raise funds for camping and other big events. In return, the Boy Scouts go out into the community to help other organizations raise funds, as well. They do what they can to make their neighborhoods better places to live. As an organization, the Boy Scouts mold young people into the best possible adults. This creates a better future for our country. A values-driven organization means that everyone is accountable for their actions. The positive impact of Scouting is seen in our schools, playgrounds, and throughout the community. When you support a Fire & Ice event by attending, volunteering, or sponsoring, you get the satisfaction of knowing that you are helping the Greater Niagara Frontier Council of the Boy Scouts of America to achieve their goals of a better community and be part of an exciting event that has a lot of experiences to offer. If you are interested in helping out with a Fire & Ice event or attending one, you can contact the Greater Niagara Frontier Council. Click here to register and learn more about this year’s Fire and Ice extravaganza!